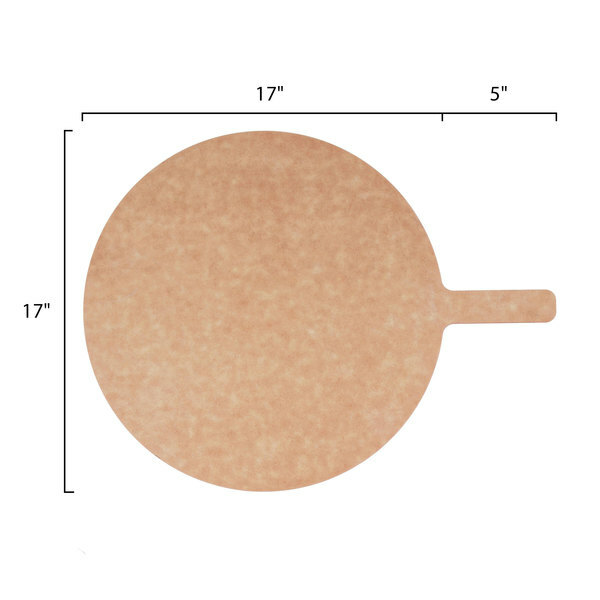 Easily move medium sized pizzas, calzones, or even appetizers and sides to and from your oven with this American Metalcraft MP1722 17" round pressed pizza peel. 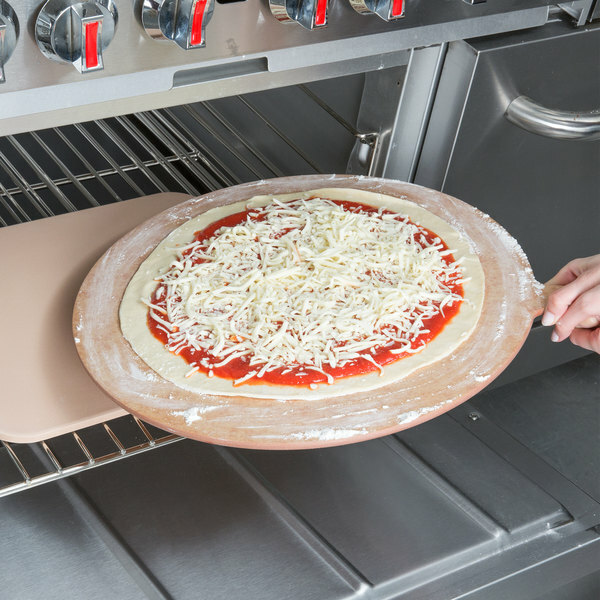 The smooth surface is easy to clean and slides under food effortlessly for convenient lifting from the oven or wood stove. 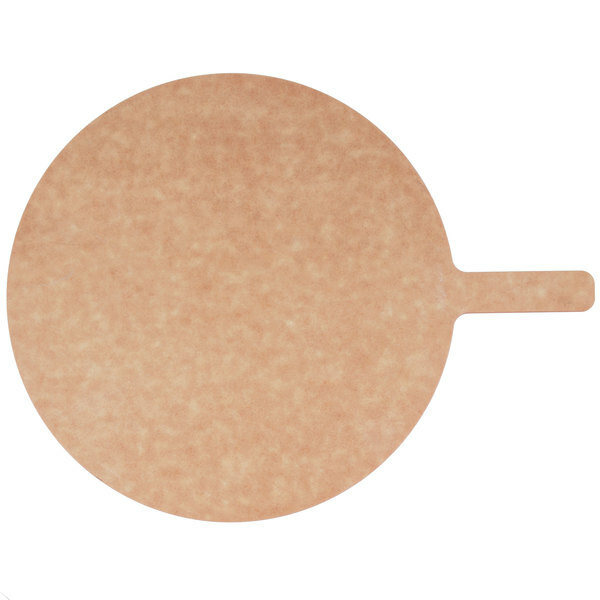 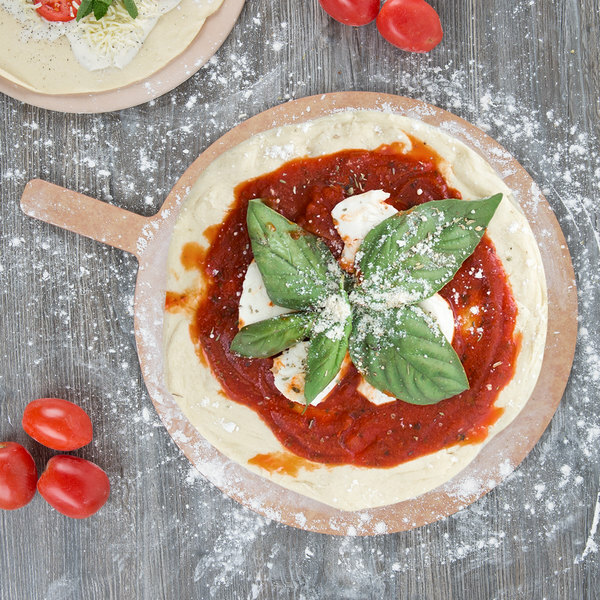 Perfect for mom and pop pizza shops or restaurants and bars, this pressed pizza peel lasts longer than a traditional pizza peel since it is made from less porous material. 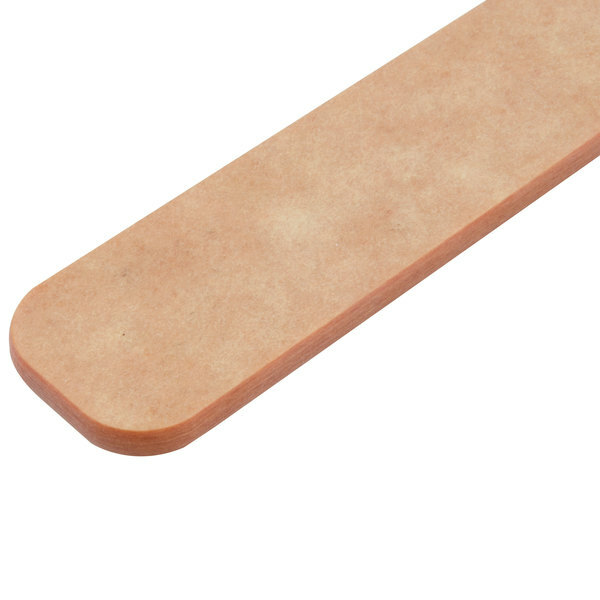 In addition, the short 5" handle is ideal for busy kitchens because it allows for increased control while handling food. 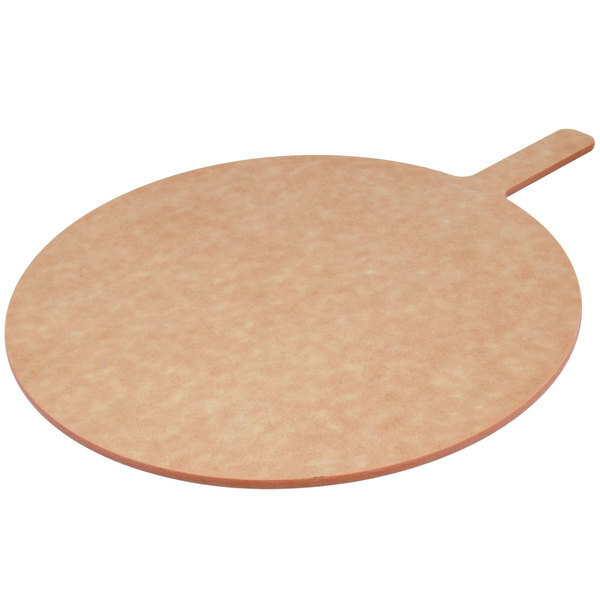 The American Metalcraft MP1722 pressed wood pizza peel also has a tapered 17" round blade to hold a variety of entrees.